In June 1940, the first prototype ELSE (SLC) was born. The set was not in any sense designed but it worked after a fashion. The High Command became interested and demanded the production of 24 sets in a great hurry. This had a disastrous effect on the equipment, as there was no time to continue a proper development and they were unserviceable a large part of the time due to rain damage and failing through faulty electronic valves. However, a trial was organised in conjunction with the Operational Research Group (ORG). Three SLC sets each were installed at five sites and kept running by ADRDE workshops. A great deal was learnt about how to operate radar guided searchlights. TRE Flying Unit pilots and night fighters from Middle Wallop provided targets and it was found that they could be illuminated for 70% of their passage through the area. Practice interceptions were made and it was considered that a high percentage of kills could be obtained. 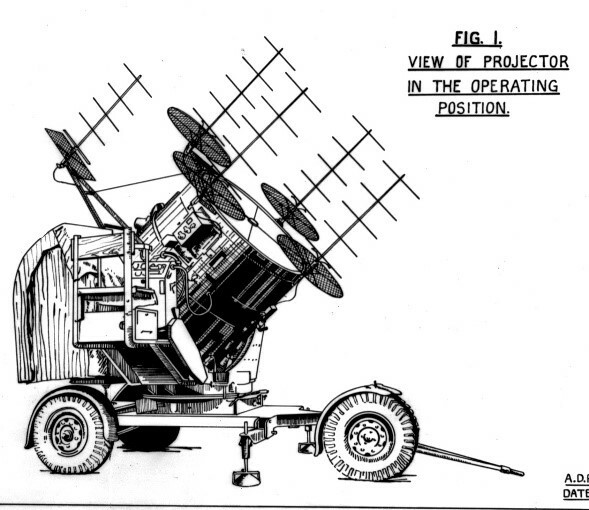 Unfortunately, Anti-Aircraft Command did not take up the recommendations and although 3000 sets were produced the reliability and accuracy was never fully satisfactory. In the spite of this by 1943 good results on illuminating enemy planes were being obtained in Kent, Sussex, London and East Anglia. In 1942, the War office asked for a complete redesign, ADRDE suggested moving to a centimetre wavelength in order to provide greater immunity from jamming economy in personnel greater target discrimination more accurate tracking and the ability to pick up and follow low-flying targets. After the move to Malvern in October 1942, work began in earnest on an automatic following equipment using a single 4 ft dish mounted on the searchlight itself. Using parts developed by TRE and the modulator from a LW set, the new design was handed over to Cossor’s for production. 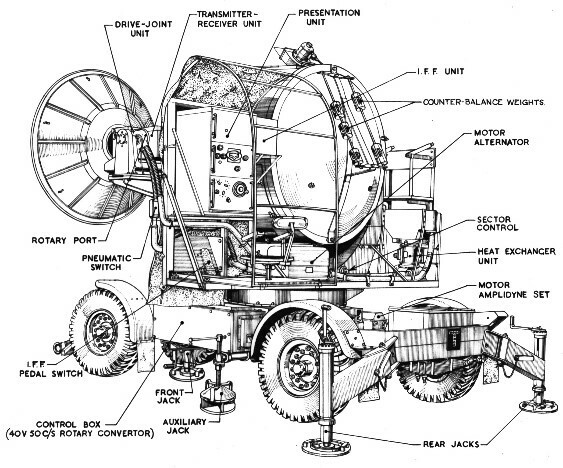 At the same time ADRDE continued development of the automatic tracking system and just as Cossor was about to deliver the first model in around February 1944 they were asked to take on a crash programme for SLC (X). Pye were asked to produce 24 sets. The part played by SLC controlled searchlights in the war is very difficult to assess. They produced good results overseas as an aid to fighter interception particularly in Malta and in North Africa. They were at all times supplementary to Ground Control Interception (GCI) systems with the fighter aircraft using his on-board AI radar as an aid to the final interception. 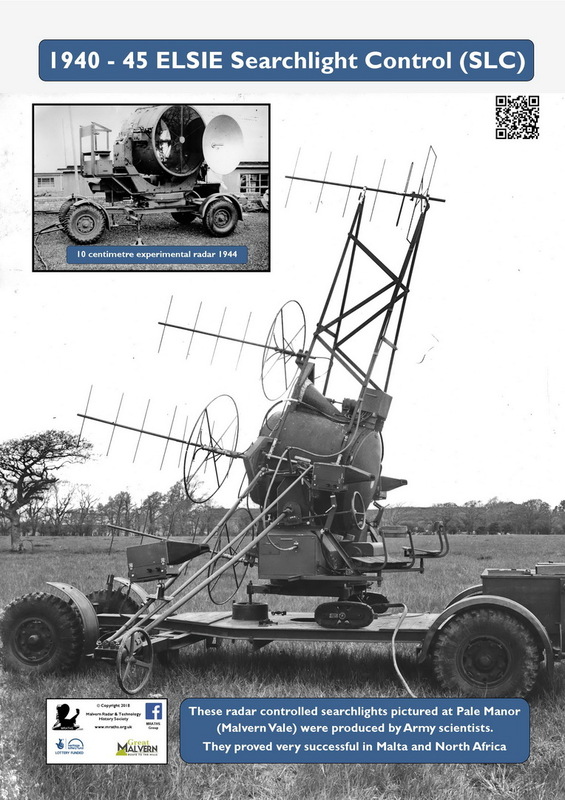 Because control of searchlights in the UK was always in the hands of the RAF there was, in many sectors, a tendency to treat searchlight interception as a poor alternative to GCI. The situation changed somewhat towards the end of 1943 as GCI got into trouble with Window jamming (strips of aluminium foil released from the aircraft which confused lower frequency radars). 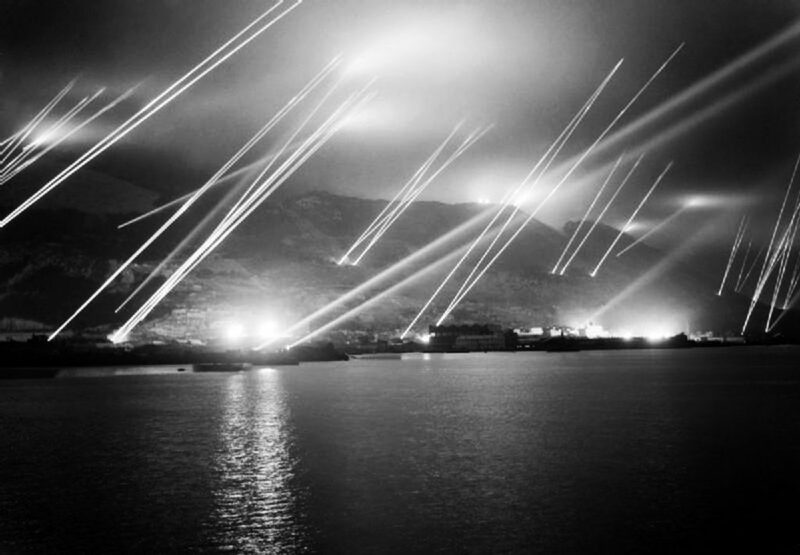 Searchlights were less affected and frequently became the only method of intercept and good results were reported. They are of course limited to operation on reasonably clear nights but were nevertheless able to function on a high proportion of raid nights.